The best way to get to know a community is by scheduling a tour. See the facilities, meet the staff and residents, and get a feel first hand what it's like to live at Homestead Assisted Living Centers - St Anthony Assisted Living. 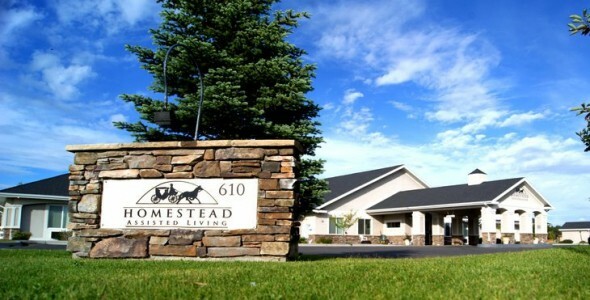 An assisted living community in Saint Anthony Idaho that provides compassionate care and services that is based on their core values compassion, integrity and hard work is Homestead Assisted Living Centers - St Anthony. Our staff take an extra mile to get to know and understand each resident so we could provide the best care services. The beautiful environment and senior friendly design that provides a calming and comfortable atmosphere to our residents. At The Homestead, we strive to make a difference in every life that passes through our doors. We consider all who walk through our doors as friends. We pledge as a business and its employees that we will hold to these values in all transactions and interactions we have, and we will provide quality service with a smith to all that we come in contact with. Our community offers a lot of amenities that promotes enjoyment and interactions to our residents. We have a beautiful garden, spacious landscaped lawns, on-site beauty and barbershop, laundry room and an elegant living room where residents gather and socialize. Residents can choose from our different living options. We have one bedroom and studio apartments that are well appointed, fully furnished, own kitchenette, in suite bathrooms with cable and internet hookups. Living in Homestead Assisted Living Centers - St Anthony is fun and exciting. We have prepared a lot of activities that residents can choose to join. We have a horse drawn carriage rides for our residents, religious services, and educational opportunities. Residents kept their connection with their friends and families through internet video calling. To ensure our residents are in good health and that they receive the best care services our staff are onsite 24 hours a day. We encourage our residents to be independent but if they need help we provide assistance in daily activities, medication management and personal care.